Something that may have been noticed by regular travelers along Lake Park Drive is the removal of the manlift (exterior elevator) on the south side of the project. This has allowed the zipper work to be completed on that side of the hotel. At level one, exterior glazing is nearing 100 percent completion. All frames are in and there are just a few outstanding windows waiting to be installed. The resort's pool has been dug out and the gunite, a sand and concrete material, is about halfway through the curing process. Gunite pools use a rebar framework that is sprayed over with a concrete and sand mixture. The method is preferable over a traditional poured concrete pool that requires a wooden framework to hold the shape of the basin. Gunite is exceedingly durable, so swimming pools made of this substance are built to last. 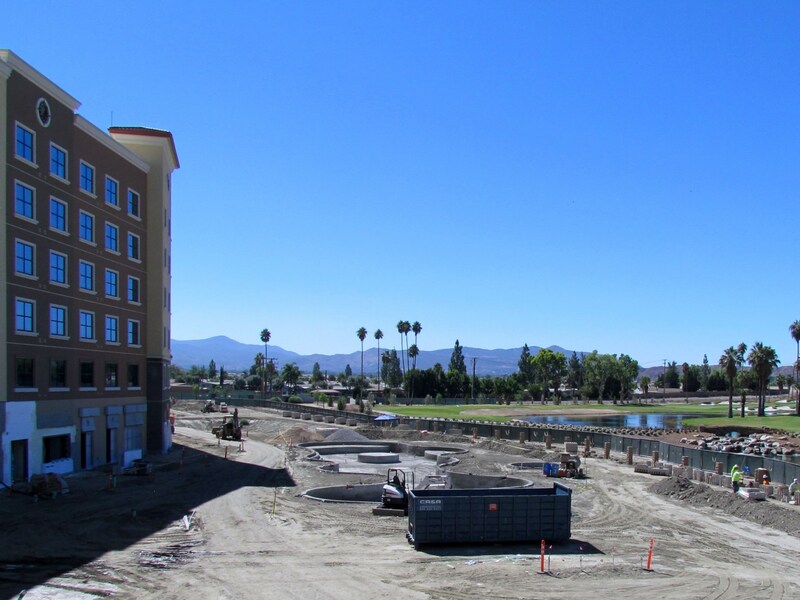 All underground utilities, including piping, was finished so that landscaping and irrigation could begin. Curbs and gutters are going in and once completed, final grading will ready the area so asphalt finishes can be done and outdoor lighting can be installed. "We are in the process of downsizing and relocating for the remaining site work finishes," Groenendal said. "As the project nears completion, the amount of construction operations trailers will be reduced." So much progress can be seen from the outside that many people don't realize all the constant quality control that goes into the daily operations. This is to insure that every single step is being done to specifications and with safety in mind. "Our safety program is intense," Gorenendal said. One such precaution that all workers are trained about is the OSHA lockout/tagout standard that protects employees from hazardous energy sources on machines and equipment during service and maintenance. Energy sources including electrical, mechanical, hydraulic, pneumatic, chemical, thermal or other sources in machines and equipment can be hazardous to workers by unexpectedly releasing hazardous energy. Inside the buildings, workers are busy laying tile, painting drywall and installing equipment and millwork. The design's aesthetic is beginning to show itself as elegant with many rustic touches. 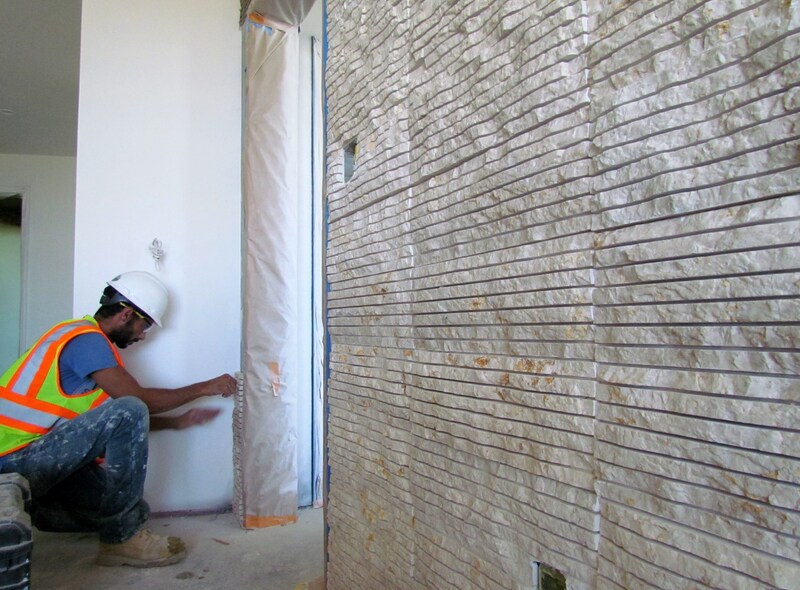 Mohamed "Karim" Mohamed has more than 10 years' experience setting tile and was busy adding textured stone tiles to hotel room walls. "I've been in California for a while and so far, this is the best company I've seen," said Mohamed, of Costa Mesa. All interior elevators have been finished, tested and are ready for use. 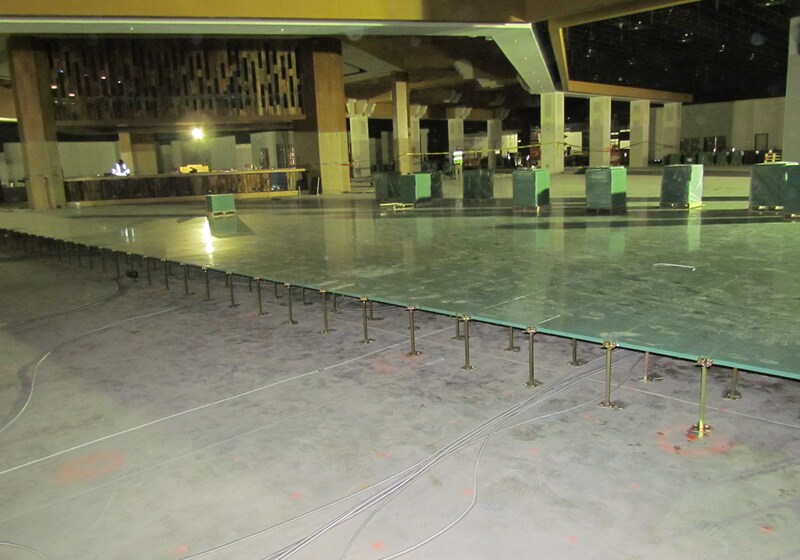 Coverings drape the walls and the floors to keep finishes clean while construction continues. "We are proud to bring such a world-class hospitality and entertainment venue to the community," said Scott Cozart, Tribal Chairman Soboba Band of Luiseño Indians. "This exciting new complex will provide tremendous opportunities for our Tribe and our neighbors."